TEVIP aims to break the abstract framework of fundamental values down into their practical meaning for young people. TEVIP helps multipliers and youth workers to put European values on the agenda and to conduct interactive workshops on the topic that allow for discussing European Values based on exemplary concrete conflict situations. 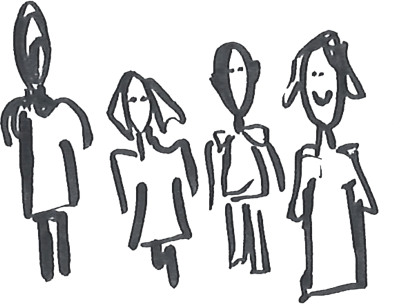 TEVIP's target group are multipliers working with young people (aged under 25) which have had no or only few points of contact with Europe-related topics or political and civil education in general before. Methods are especially concepted for non-formal education but may also be used by teachers in formal education systems. Most of the methods can also be used by international youth groups at European youth events, camps etc. The products are a collection of materials and a train of trainers manual available in English, German, Polish and Italian and free for download for multipliers in the field of political and civic education and the European public. Participants and recipients are provided with feasible materials, methodical competence in using interactive methods and with a modular workshop concept that can easily be adapted to their individual needs. As a common ground and base for TEVIP materials all partners agreed to the following principles for our cooperation. Simulation games are one of the core pieces of our methods. They are an appropriate method to 'translate European values into practice' by breaking abstract value conflicts down into everyday situations. Taking over a role of another personality offers the opportunity to get to the heart of individual attitudes but without encroaching on participants' personal space. 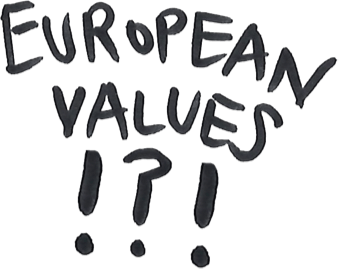 New perspectives on European values become visible and the main driving forces, constraints, and possibilities of existing concepts of values become clear. Interactive methods are usually perceived as requiring a lot of resources, e. g. numerous rooms for group work, a bunch of materials and at best a couple of trainers. However, available resources often do not meet these conditions thus trainers and teachers forbear to use interactive methods at all. Our large group methods are feasible with more than 50 participants working in one room with only one or two trainers. Consequently, large group methods are also relevant in the school context with typical restriction regarding space and personnel. A simulation game and elaborate large group methods will not make a comprehensive workshop concept on European values. Accompanying methods for introduction, sensitisation, knowledge acquisition, evaluation and feedback are indispensable. 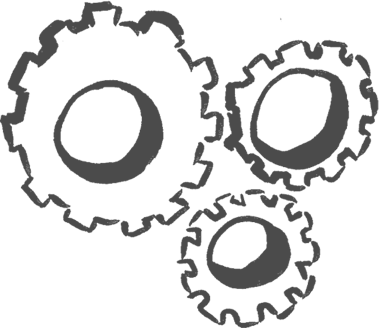 Our tools will follow a modular concept to provide flexibility to trainers and organisers. Accompanying methods point out possible connections between core methods such as a simulation game or a large group method. A well-designed manual is a necessary precondition to convince potential users to implement a method. This is especially true for more complex methods because inexperienced trainers spare alleged effort. The first and foremost purpose of the manual is to enable and encourage teachers and trainers to use our material. Every single method is explained in a detailed but at the same time clear way. The manual also illustrates how to combine a set of methods for different target groups in order to design a consistent workshop on European values. The train of trainers’ module is a tool for multipliers to inform and teach their colleagues, associates and members of their networks. With this module multipliers are enabled to conduct extensive in-house trainings on our methods, e. g. at regular staff meetings. Furthermore, they can use the module to provide a quick overview, e. g. at association meetings, conferences and workshops.